LTC insurance covers care not covered by health insurance, Medicare or Medicaid and protects your savings accounts from becoming depleted by increasing costs of healthcare. And, premiums may be tax deductible, in some cases up to 100%. Long-term care needs and expenses are unpredictable as is lifespan, so to provide for this uncertainty, LTC insurance policies exist to provide for the cost of long-term care beyond a predetermined period of time. Policyholders of LTC can rest easy that they will receive the care they need and the best quality of life possible, under the terms and conditions of the policy. Choosing the right plan is important. Contact your insurance representative, financial advisor, and friends about the choices available. You may also want to contact a home healthcare provider like David York Agency to ensure the policy you choose is compatible with the home care they provide. Insurance policies, long-term care insurance included, are designed to be most affordable when the person insured is younger and healthier. The ‘sweet spot’ for purchasing long-term care insurance is between 52 and 64 years old. Long-term care insurance policies allow you to define benefits when you buy the policy. You can add or subtract various components to suit your situation. Working with a predetermined pot of benefit money is just like working with a household budget. You need to find ways to make it last and cover all the things that you need in order to get through the month. Home healthcare, in the 5 boroughs of NYC, will average half of what a nursing home will cost. With home healthcare, not only will you get more personalized care at nearly half the cost of a nursing home, you get to live in the comfort and familiarity of your own home. Unlike the policies seen in the 1980’s, today’s long-term care insurance covers home healthcare. This is why using long-term care insurance to fund home healthcare is a wise option. Of course, if you need a skilled nursing facility, a nursing home might be the better choice. Policies allow for that as well. Choosing the right plan is important. Contact your insurance representative, financial advisor, and friends about the choices available. 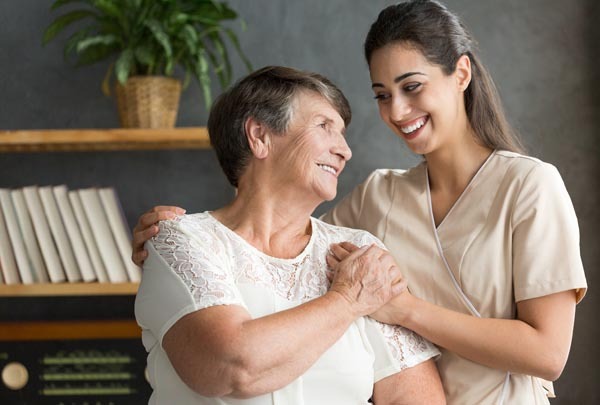 You may also want to contact a home healthcare provider like David York Agency to ensure the policy you choose is compatible with the home care they provide.